Lemoyne Star & Tucker Trimmer III. Michelle designed this fun, quick and easy quilt that can be made with scraps, fat quarters, yardage, etc… you pick! The pattern offers 4 sizes and 4 settingoptions. 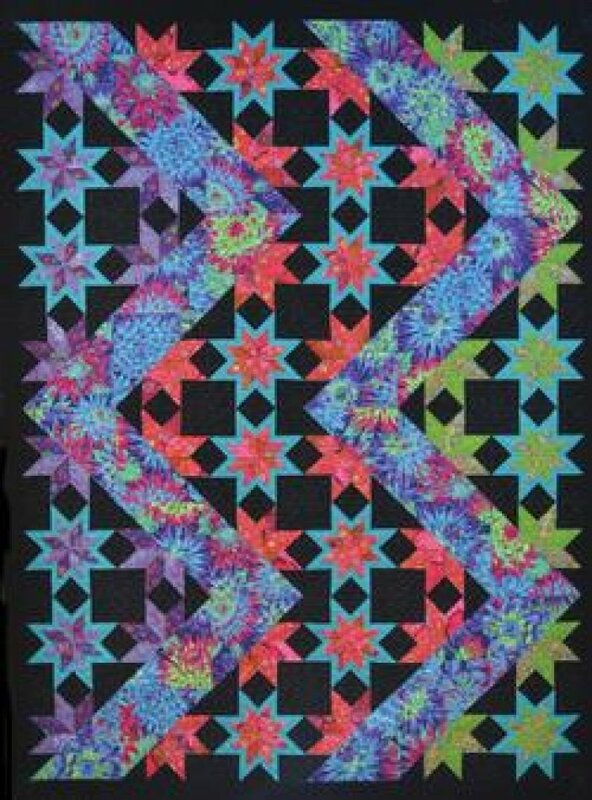 All sizes are made with the same number of blocks and units, the size of the flying geese units determines the size of the quilt. 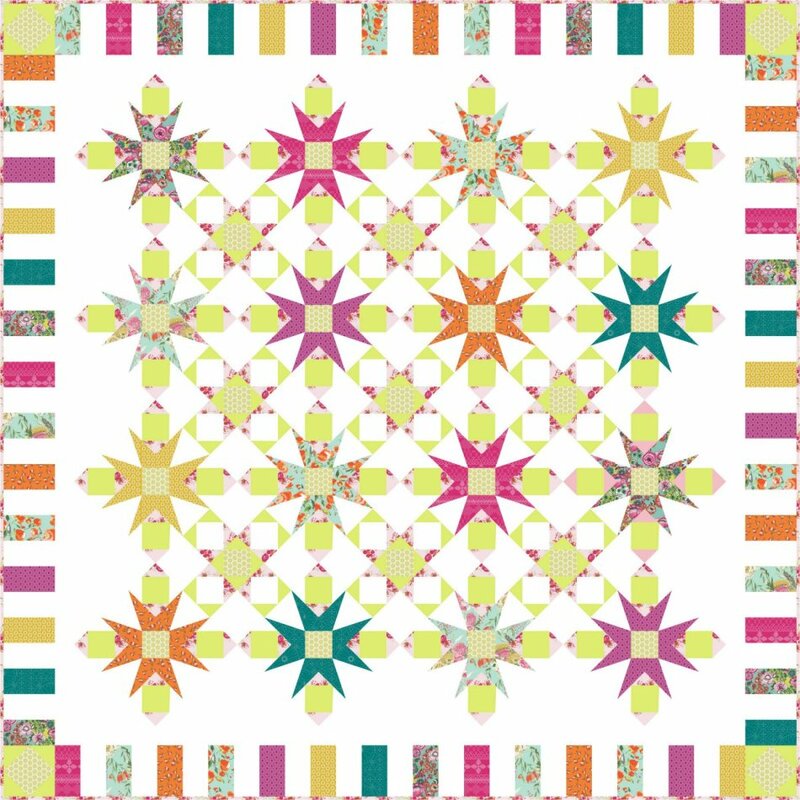 Michelle chose a largefloral print for her stars and tone on tone for her Flight block, however you can use the same fabrics, different fabrics, or scraps! In Flight comes together easily with the Studio 180 Design’s Wing Clipper I™ tool. Quilt Sizes: Throw 62" x 62", Double 84" x 84", Queen 102" x 102"
Michelle was inspired by those wisps of colors here and there as blooms start to come alive after a winter’s sleep. 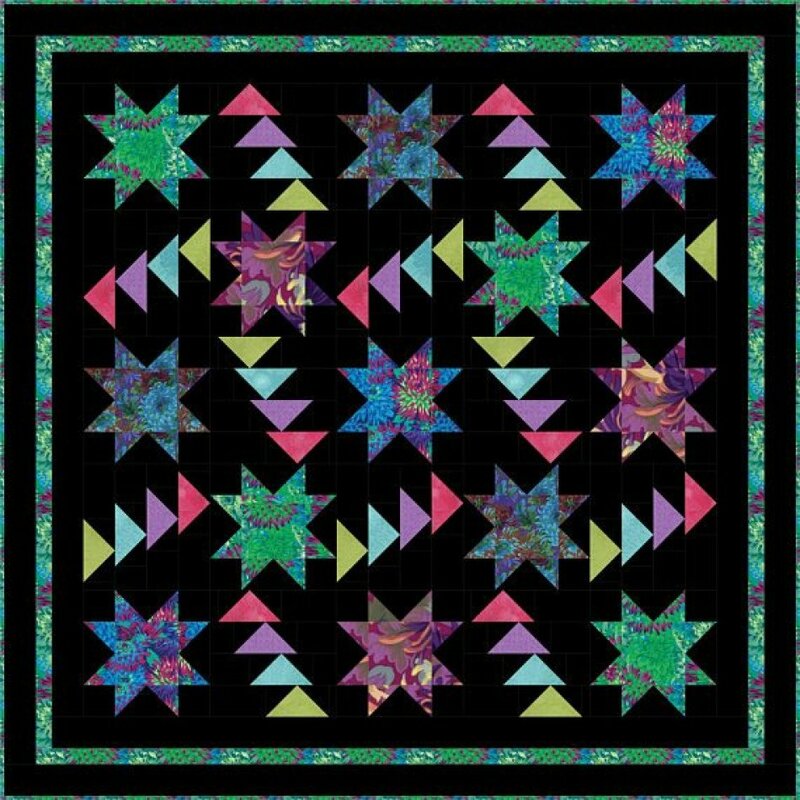 Bloom has a whimsical layout of Spinning Bloom V Stars and Five Diamond Blocks that actually create Ohio Stars when set on-point. She alternated the two blocks and set them on point, so they come together to create blooms and greenery popping here and there! Whether you go with pastels or bright batiks, light, medium or dark background, this quilt will look fabulous!